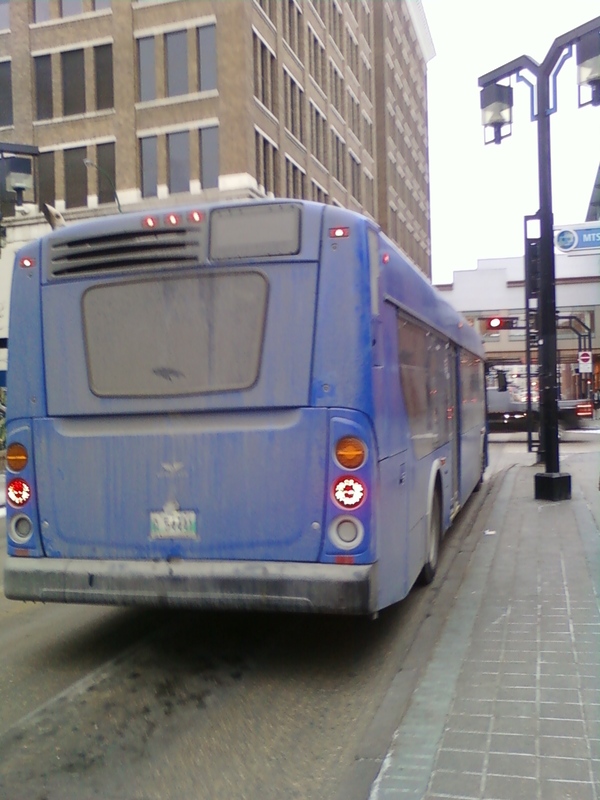 Fianally got pics of the mystery bus in Winnipeg. They are putting this bus through lots of testing!!... i think they might me simulating the route 47 Transcona to test it. HVAC is likely required to be on the roof now if the DEF equipment needs extra space in the back, although, I'm sure they will come up with a new housing for the HVAC. It would seem engine comparment changes require the use of the Xcelsior rear passenger window with the slope in it. Perhaps that was why the Xcelsior was designed with that slanted window in the first place... in anticipation of EPA 2010. Those mouldings around the wheelwells look a bit different too. Could also just be because they contrast with the body, rather than being black. Interesting rear cap on that bus. NFI buses with the side skirts use those mouldings. Well, not just AC but heating as well. Edmonton and others have a diesel operated heater where the rear window would be located. Would anyone think that this bus is a new design from New Flyer for their way in buying back Ottawa as they awarded Ottawa with a dedicated fleet?? Ottawa purchased the INvero's from New FLyer in previous years, as the INvero was the "above LF bus" and so do you think this is the "above LFR bus" that Ottawa will purchase? Doubt it, after all, New Flyer already offers the BRT version which would be the next step up from the LFR, as the Invero was to the LF. I've been thinking. 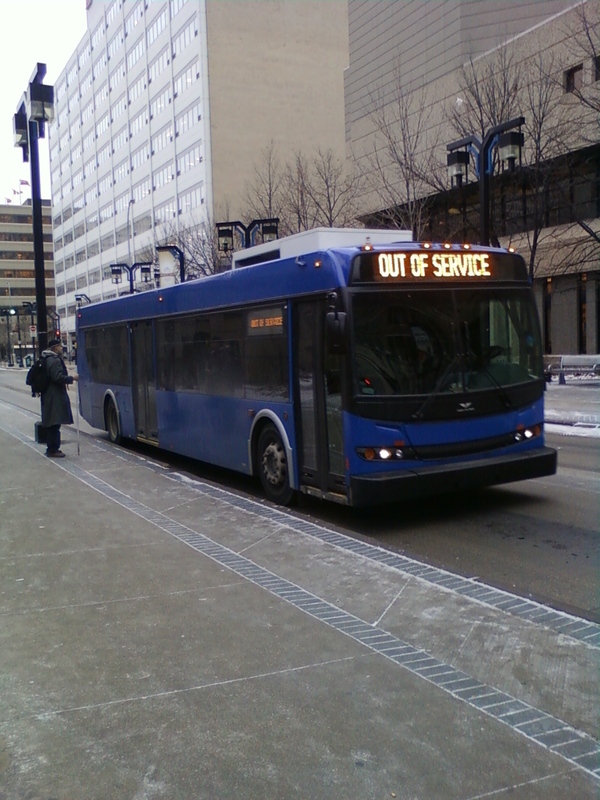 Might Winnipeg use it for their new "BRT"? Ottawa wont be buying any 40 footers soon. Only 60 Footers or 77 Double Deckers for the upcoming years. This bus is still an LFR. 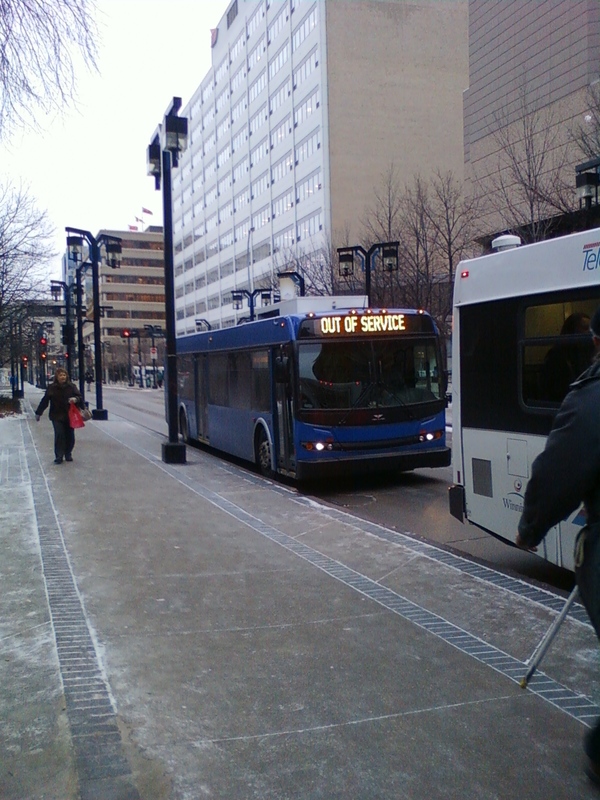 The design change is mainly meant to accomodate the 2010 EPA standards on diesel-powered buses. At the same time NFI updated the look of the bus.Alternative fuel-powered buses may get a similar restyle to match. It's the isame idea with MCI and the D coach in 2007. A rear window now eh.. Maybe NFI wants to make a bigger push to enter the Quebec market in the near future. I know that one of the must have's for Quebec TA's was transit buses to have a rear window. Even with that though, NFI still has a lot to work on to meet the requirements and specs that Quebec TA's want. I know, but there's nothing stopping NFI from at least trying to get into Quebec. 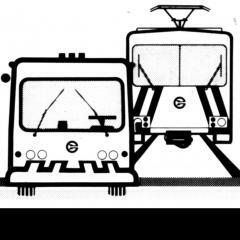 I saw a pic of the new buses that they might use... it was an articulated Xcelsior, but it is a possibility!! I see they've gone back to the windshield with squared-off corners as originally seen on the LFR series. I hope they do something about the grey box on top. It looks awful! dont worry its only a test bus so for sure they will streamline the box next year... as for the squared off windows...i think this particular bus was a converted early 09 or earlier bus so it will prob be rounded off as well..
Not only that, they also want one piece windshield rather 2 piece windshield due to visibility. I saw the bus. I am clueless to what it is. If you read the rest of this thread, you would have discovered that is it probably a 2010 EPA test unit! i just noticed that there seems to be a trend shift in terms of door design...it seems like nowadays (2009 onwards) the major bus companies are favouring simple full pane or divided in the middle rectangular glass w/ no more curved edges...cost savings?? oya since the lfr will have xcelsior type doors now...are wide rear doors going to be std?